Missy Hecksher's review of Paul Sanchez's show at the Carrollton Station and his live record that has just been released was excellent. 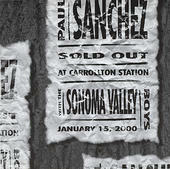 I remember being at "The Station" on the night of Sanchez's show (January 15, 2000) and it was fantastic. When Peyton's brother Cooper Manning and his girlfriend(wife?) had trouble getting in the door. I knew it really was"Sold Out!" Thanks, Ms. Hecksher for the great review. I could not have described the great evening and c.d. any better. My personal favorite from the night was "They Were Married"(though I do like "I Got Drunk This Christmas" too). When Igot the c.d. and listened to the guy in the audience falling down again I couldn't believe it! "LOL! "Keep on writing! The first thing you've got to realize is that this is not Cowboy Mouth. While Sanchez is a member of the college-popular, pound'em sound and shake'em rock band, his solo work is of a whole different league. 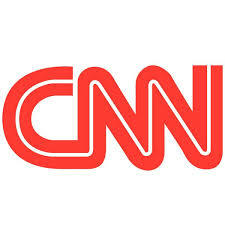 In fact it's almost hard to believe these two are connected at all. Sanchez, on his fifth CD, "Sold Out at Carrollton Station", sings his melodies in soft and gentle voice that is nothing like the let it go, let it go energy that made the Mouth famous. 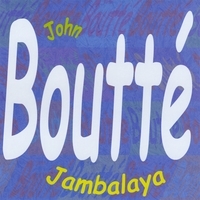 Recorded amidst an enthusiastic uptown crowd, most of the songs on the live CD are a folksy, slow strummed tribute to the all-night escapades, cheap liquor and crawfish stews that make New Orleans the place that it is. In the supercharged rock enviroment of a Cowboy Mouth show, Paul Sanchez's appeal lies in his aw shucks demeanor. With his stiff necked rooster strut, he looks like a regular joe who got called up from the front row,and his songs establish a familiar, barstool intimacy. On his solo recordings, Sanchez cranks that intimacy knob to 11. He's not some faceless singer staring out over the crowd at open mike night; he's your best friend, sitting in your living room, and you're the only person in the audience. If one cuts Cowboy Mouth singer/guitarist/songwriter Paul Sanchez, he bleeds folkie. Long before the New Orleans band earned national fame as a rock band, Sanchez wandered the northeast as an acoustic-toting troubadour, hoping to follow in such footsteps as Bob Dylan's or Peter Case's. Instead, Sanchez started the Mouth and began ascension of a different colored musical ladder. But that doesn't mean he's abandoned the singer/songwriter side of his personality. 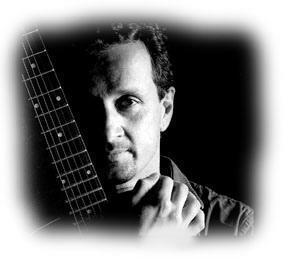 Over the years, Sanchez has re-released three fine indie label solo albums; "Jet Black and Jealous," "Wasted Lives and Bluegrass," and "Loose Parts" --mostly featuring his voice and guitar --and often opens CM concerts with solo acoustic sets. 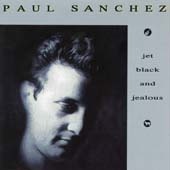 On LOOSE PARTS, Paul Sanchez continues the same territory he's explored on his solo discs, JET BLACK and JEALOUS and WASTED LIVES and BLUEGRASS. Though the first two sound similar, the subject matter is drastically different. JEALOUS covered the dark side of relationships and lost love, while on BLUEGRASS,( after falling in love and getting married), the songs tended to showcase the happier side of life. Paul Sanchez grew up in the Irish Channel, a working-class Catholic neighborhood with its share of rough edges. Sanchez saw some neighborhood buddies get into trouble with the law. He watched other friends stay on the straight and narrow only to be derailed by unexpected tragedies. And he witnessed his widowed mother work hard to raise 11 children and send them safely out into the world. After he successfully avoided the pitfalls that claimed others, it's no surprise that Sanchez developed the strength to weather the slings and arrows of a rock 'n' roll music career. 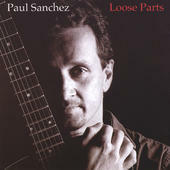 Paul Sanchez, Loose Parts (Paul Sanchez Music). 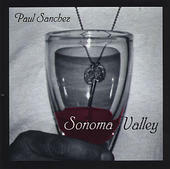 Such is the intimacy of Paul Sanchez's solo recordings that it's easy to imagine him right there, in your living room, serenading with his acoustic. Before Sanchez joined the bombastic Cowboy Mouth as one of its two guitarists, he was an aspiring folkie with a wealth of slice-of-life ballads - mostly down-and-out, mostly autobiographical. He has continued to walk those same side alleys via three solo albums released during his tenure with the Mouth (if you ever come across a copy of his hard-to-find first gem of an album, "Wasted Lives and Bluegrass," snag it). His new, self-released, mostly solo third outing, "Loose Parts," contains more of what made his first two discs so charming. Paul Sanchez breaks away for a simple, un-plugged session that makes up the package called Loose Parts, a folksy work produced by Peter Holsapple. The songs here are quiet ballads, each telling what seems to be a very personal story and Sanchez tells them well. The duet with Susan Cowsill is positively enchanting, the two exchanging lead vocals easily and creating quiet harmonies without ever hurrying. "Shotgun In my Soul" is the most electric of the cd's 14 cuts. Loose Parts is like Sanchez came over to your house, pulled up a chair and played all his favorite tunes just for you.